Please Contact us, we would be happy to make things right again! 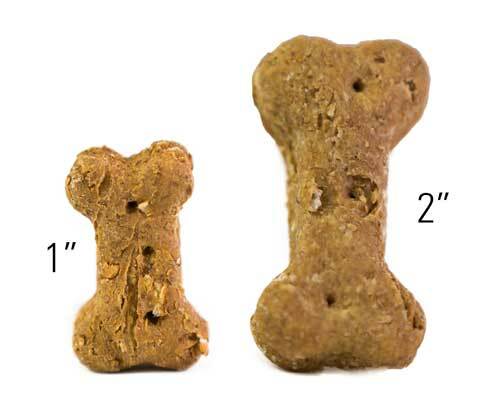 arcBARKS are dog biscuit-like treats that are made for all breeds of dogs. arcBARKS are unique treats because they are lovingly made by hand by special needs individuals who have intellectual and developmental disabilities. We refer to our participants as our Chefs. arcBARKS treats are not intended to serve as your pet’s main diet. They are to be used as a loving treat for your special canine pal. Reward 3-4 per day. arcBARKS are made from preservative-free ingredients, by hand, according to our arcBARKS recipe. arcBARKS are “Veterinarian Approved” and are also approved by the North Carolina Department of Agriculture. arcBARKS contain freshly ground peanut butter, flour, oatmeal, vegetable oil, and water. Dogs who have peanut butter allergies (15% of dogs) should not be given arcBARKS® treats. arcBARKS contain only preservative-free ingredients. arcBARKS treats are packaged in 7 oz . boxes of either 2″ Classic Bones or 1″ MiniBones. arcBARKS treats have a shelf life of at least 12 months. A “consume by” date is written on each box. By special arrangement with the bakery, arcBARKS treats are available as co-branded mini-bags (3-4 treats/bag) or unpackaged in larger quantities by weight. *Custom orders for large quantities are available by contacting the arcBARKS Bakery. Yes. arcBARKS wants you and your dog to be very happy with our product. If you are dissatisfied with your purchase for any reason, please contact us to arrange for a full money-back refund. Refunds are not available for arcBARKS that have outlived their expiration date. Please read our Terms of Service and our Refund Policy. All profits go back into our program!